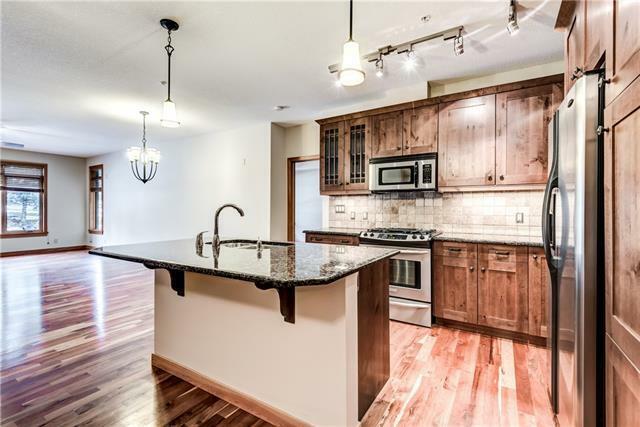 This immaculate 2-bedroom + den condo is full of upgrades. Upon entering the unit to the right is the laundry room with upgraded built in cabinets with sink and the stacking washer/dryer. 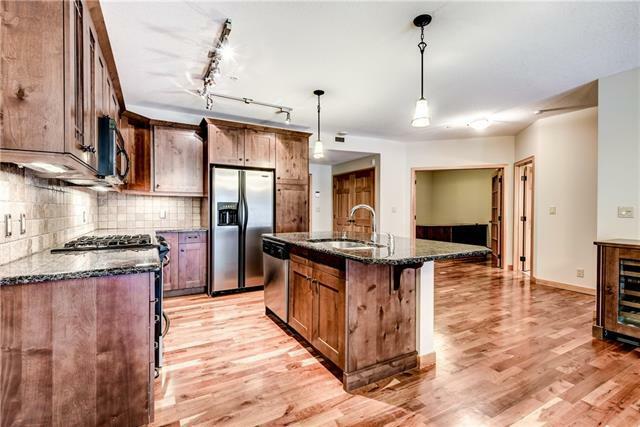 The kitchen is equipped with all stainless appliances including fridge, range with gas cooktop, microwave hood fan, dishwasher. 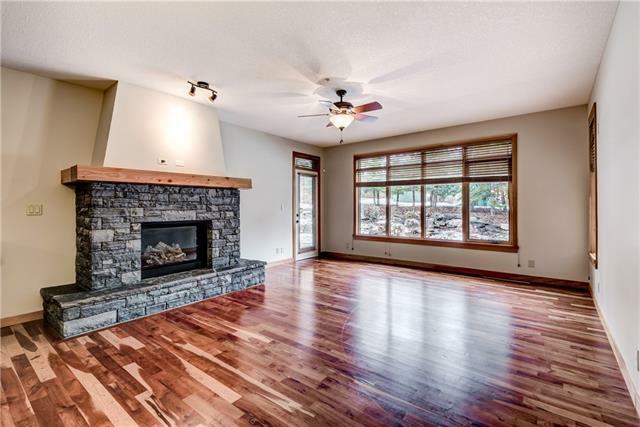 The living and dining room have hardwood flooring, stone gas fireplace with fir mantle and built in wine cooler. 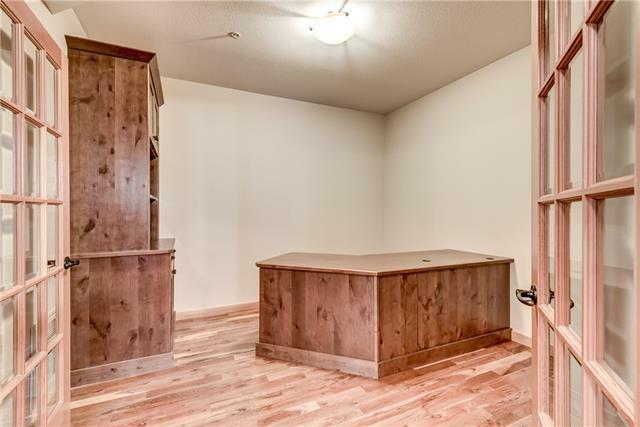 The Den is accessed through French doors with glass inserts and has hardwood floors and built in cabinets and desk, perfect for the home office. The two large bedrooms both have their own patio areas accessible from the bedrooms (the main patio also from the living room). The large master bedroom has a walk in closet with a built in hanging and drawer system, and a large ensuite. The 2nd bedroom is also large with a large closet, perfect for the kids or guests. Listing provided courtesy of Spring Creek Realty. © 2019 CREB®. All Rights Reserved.